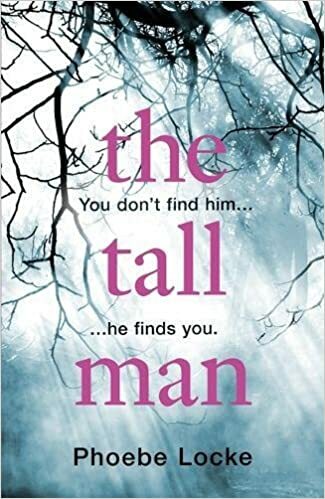 I found the idea of The Tall Man by Phoebe Locke really appealing. The Tall Man is somewhere between a myth, a legend and fantasy – a story to scare children with maybe – or is it? “He killed his own daughter because she didn’t do what he wanted”. “He can make you special”. The scene is set in two eras. A current era note on a documentary about the Banner family in 2019. Then, in italics, a story about young girls being told about The Tall Man by older friends – this part is certainly a little spooky. This is in an earlier time to any other part of the story and is indicated by the use of italics in the main stories. The story then runs in three time periods in addition to the earlier “italic” story. In 1999 we see Sadie, Miles and a baby about to be born who will be Amber. Moving forwards to 2016 we see Miles, Amber and a now returned Sadie who has been away from the family for a long time. In 2018 we see Amber after her trial for murder being filmed for the documentary. The only person who clearly appears in all time periods is Sadie who is one of the girls in the woods being told about the Tall Man. This is obviously a gradual reveal type of story where we will find the threads connecting as the book goes on. This is one of my problems with this book. There is a reveal to come about Amber’s murder case and one about Sadie’s absence however that information was disclosed far too slowly for me. While quite spooky as a read at times, I did find it quite hard to get a handle on the early parts of narrative too. I found the sections relating mainly to Amber – the 2018 ones – didn’t really hold me at all until the end. We know Amber has committed murder from quite early on but I didn’t feel I was being fed enough of the story. Equally I found her a hard character to engage with in any way. In fairness she was not the only character I felt that about. Until I was around 70% through this, I felt it lacked pace and was a disjointed read for me. I found it awkward to follow at times and didn’t get any feeling of depth from any of the characters. From then on it did get more interesting and I probably would not have stopped reading it. However even the end left me fairly indifferent. I’m sure many people will enjoy The Tall Man and get more out of it than I did.